Winter sadly wound up being a big dud, but luckily there's plenty of premieres up to take its slot. I'm not sure why I chose this of all things considering its underwhelming promo materials and streak-of-bad-dramas cast, but I'm now glad I did. I'm really liking it so far. The characters and fast-paced story hit the spot for me, and overall I think it's off to a solid start. As far as premieres go, episodes 1-2 were surprisingly good. I think it was a smart decision to fend off the question of just how he went from gangster to rich CEO to episode 2 instead of cramming it all into 1. Long introductory set-ups usually kill a drama for me, but I enjoyed the 7-year prior start here, which allowed for some nice character establishments without having to resort to kid actors or predictable story-pushing. 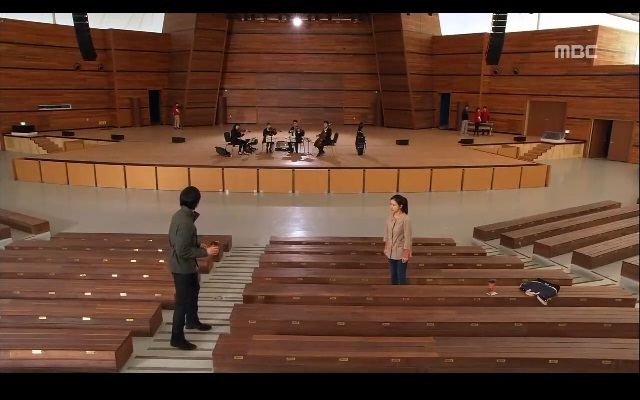 I found it nice that they didn't pause a beat in introducing the two leads, and in getting them to meet. In fact, I'm both surprised and pleased with how quickly his feelings for her formed, but I guess it makes sense with the title. I'm not sure I understand how the 1 hour or so spent with her somehow led to 7 years (?) of obsession, but it's oddly endearing. This is also among the most appealing I've ever found Song Seung Heon, and I don't mean that in the physical shirtless way, though there's a laughable amount of that. I just like his character, and I like the assured confidence mixed with kindness underneath. He's so far not as completely blank-expressioned as his previous two roles and is doing well with the character. I'm also fond of the two heroines. I've loved Chae Jung Ah since Queen of Reversals, and it's a pity she keeps getting fenced into second-lead roles. I haven't watched Shin Se-kyung in anything else, which is probably a good thing. From what I've seen, she's really nailed the cold charisma vibe, which is a nice departure from the typical over-happy heroines. Despite the age gap, she and Song Seung Heon have an intense, compatible chemistry, because he plays the kind, light-natured one who balances out her moodiness. The second male guy is the only one of the four I felt completely unimpressed by. He had a cute intro, but otherwise has been in some of the most boring scenes. I rarely care about side characters, and while I'm sure it's sweet that he and his bro had all those nice home-cooked meals together before the latter's arrest, I found myself checked out whenever none the first three leads were there. This guy's decent enough, but either his character or acting is lacking any sort of draw. I eye-rolled upon seeing him as the translator post-7-years and foresee lots of predictable, drawn-out workplace romance conflicts between the leads. Moving further into episode 2, the plot both progressed and slowed for me. The heated parts were of course the reunion of the leads, the speedy workplace proximity set-up, and the ending (!). I can't think of another drama where the relationship manages to progress to a *spoiler - highlight* proposal by episode 2. I have no delusions of it moving beyond that, since she's clearly not on the same page as him yet, but that was a jaw-dropping, satisfying scene to watch. At last! A male lead who doesn't try to deny his feelings or pretend to be unaware of them from the get-go. That feels a lot more realistic to me, and just leads to so much interesting potential. The slow moments were all the flashbacks of what happened. I accepted them as inevitable, but they sure drew them out. Was it really that necessary to give us the whole Chang-hee sad backdrop? It was more dull than heart-rending, because I don't really care for this guy. Quick mention of other characters I already dislike - the heroine's dancing brother. Seriously, it not only fails in logic, but also felt like a total rehash of Taecyeon's character in Boku to Star. Add the fact that he's still only practicing 7 years later - maybe time to give it up and face the real world? The second guy who annoys me is that blonde ahjusshi. I mean, the blonde/purple monstrosity on his head was a dead giveaway from the start that this guy's no good. He reminds me of an uglier, more pathetic attempt at recreating Yokoya from Liar Game. But here he's a total fail. Where this drama excels so far is the romantic relationship. Everything else, from the gang background, evil baddie, sudden loan company success, etc. takes a stretch of the imagination to buy. But if you go into this blind, without expectations and without too much probing, I think you'll find it to be a pretty addicting watch. I can't wait for the coming episodes.